Four years ago I attended the Northwest Regionals just to sell off excess model stuff. Several men bought old kits from me that they said they had been too young to finish back in their boyhoods. “Now,” they said, “I am going to get closure.” The look of happiness on their faces struck a chord with me. That set off a latent desire in me to do the same thing. 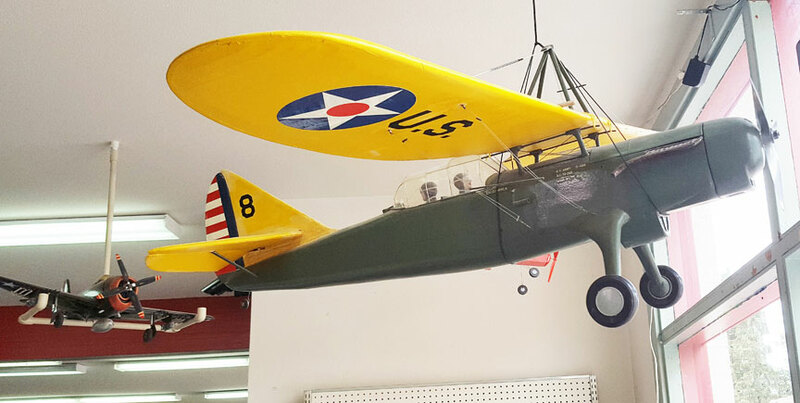 I saw a couple of old models recently in the hobby shop in Parkland, Wash.
A Douglas Y10-43 on display in the Parkland, Wash., hobby shop. Orin Humphries photo. 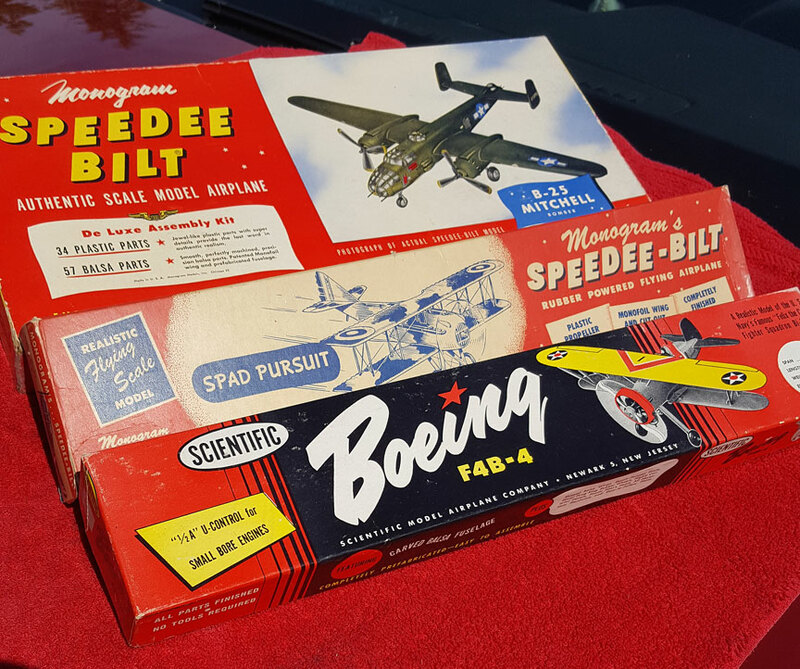 EBay proved to be a great source of Sterling, Scientific, Berkeley, and Monogram Speedee-Bilt kits from the 1950s. You do have to be patient, as it can take up to two years to get the exact ones you want. Everything costs more these days, right? There are plans for some of these old models there as well. 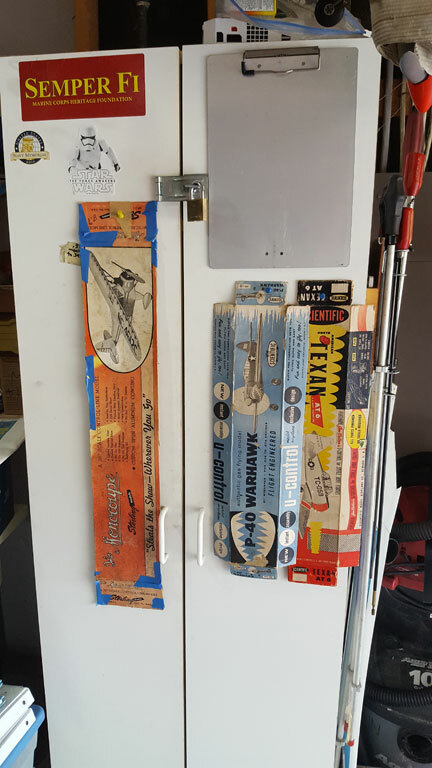 On a recent morning I bought a Sterling kit of a PT-19, 44” wingspan, a thank-you for my pitman who came all the way from Spokane to support me and see what contests and Scale are all about. Based on this experience, he said he intends to enter something next year for his first-ever contest appearance. Bringing him now was training to get him ready to support my F-84 next year, a very complex experience to be. 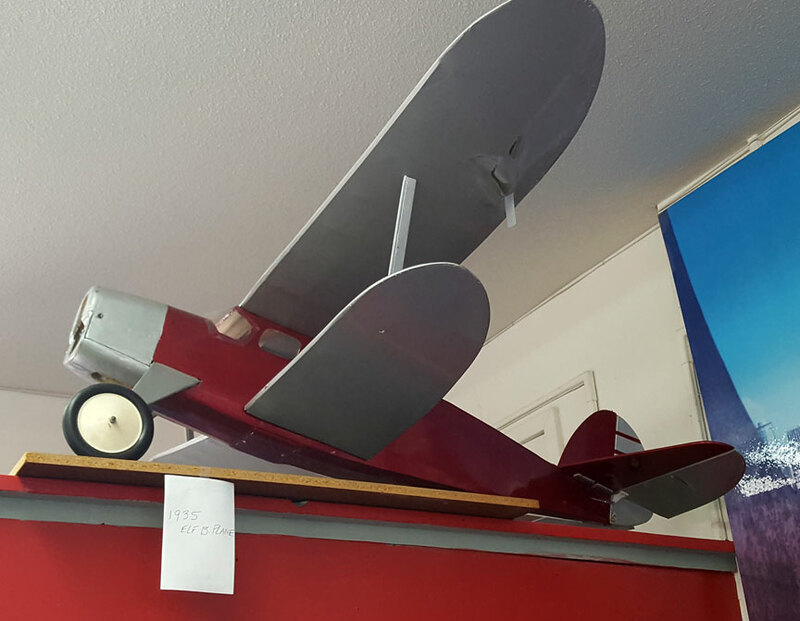 An old biplane in the Parkland hobby shop. Orin Humphries photo. My Sterling Monocoupe which I flew in this year’s Regionals was a recent eBay purchase. These kits look SO cool in the air; I am hoping this will encourage others to take a look at these old kits. Another example is John Wright’s Cessna 195, done up in aluminum appearance. John took Scale Master this year. 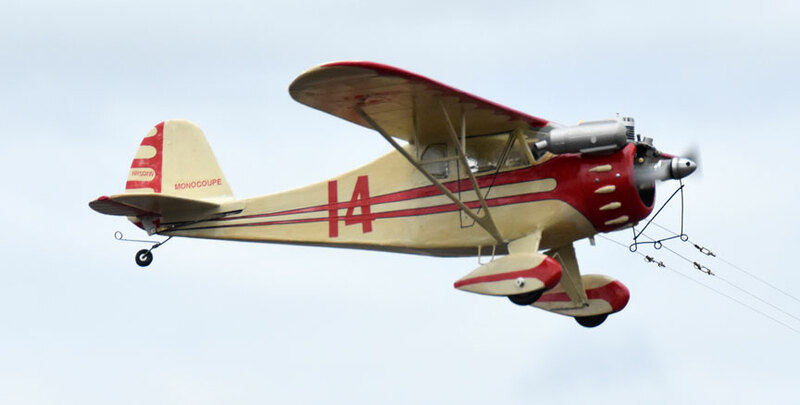 Orin Humphries' Monocoupe in flight at the 2018 Northwest Control-Line Regionals. Flying Lines photo. 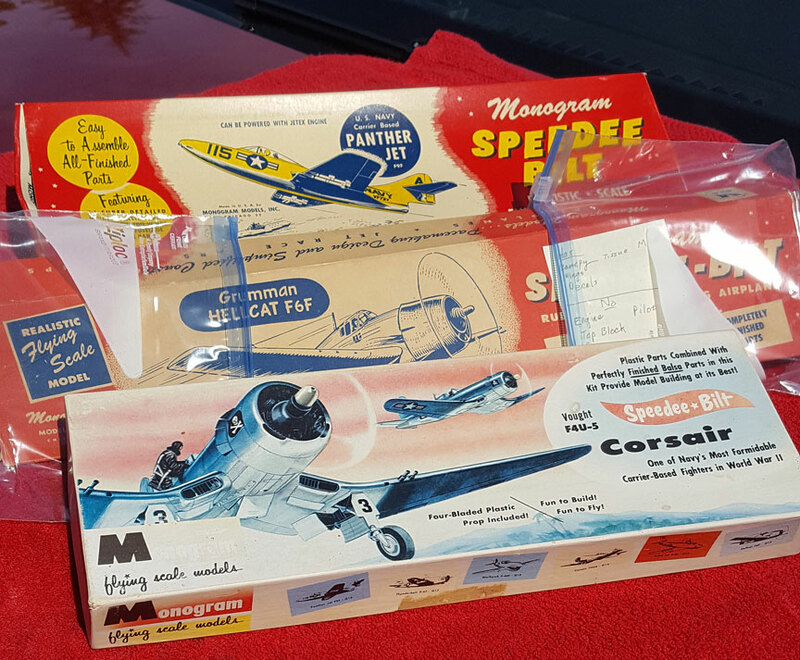 My nostalgia binge began with getting a Scientific kit of the NAA T-6 Texan. Orin's Medallion .049-powered T-6. Orin Humphries photo. I put a Medallion .049 in it and it was used as a test for some finishing products. It has ¾ oz. fiberglass and Klass Kote epoxy over that. I was very pleased with the high gloss finish. It is done up like the T-6 we have in the museum where I volunteer. I used some masking film from the plastic modeling community, which I bought from Micro-Mark online. Did you know that the old Scientific Model Co. morphed into Micro-Mark? Also found on eBay were some Monogram Speedee-Bilt kits. 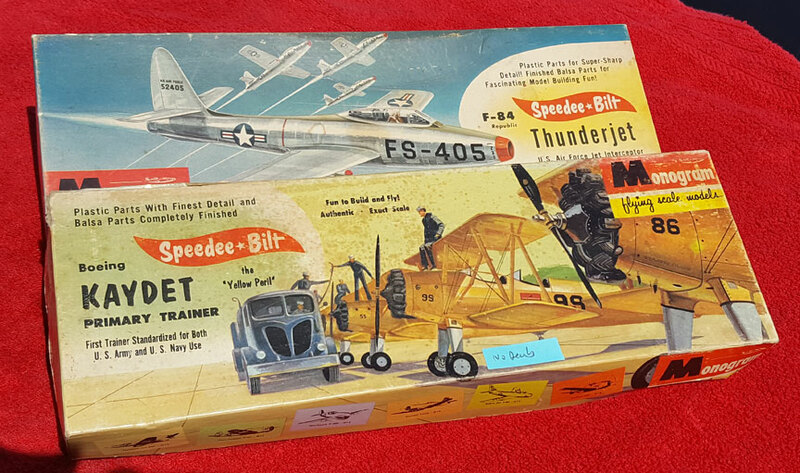 These were the best-ever kits for boys to get started with. The kit design included materials and methods from all types of model construction. They were built-up with slab sides and formers; they had stick and tissue for the top and bottom of the fuselage, and plastic nose cones, cowls, canopies, and landing gear. The slab wings were airfoiled on top, and the flat bottoms were covered with stick and tissue panels. It taught you everything. Some of the vintage model kits Orin has found on eBay. Orin Humphries photos. 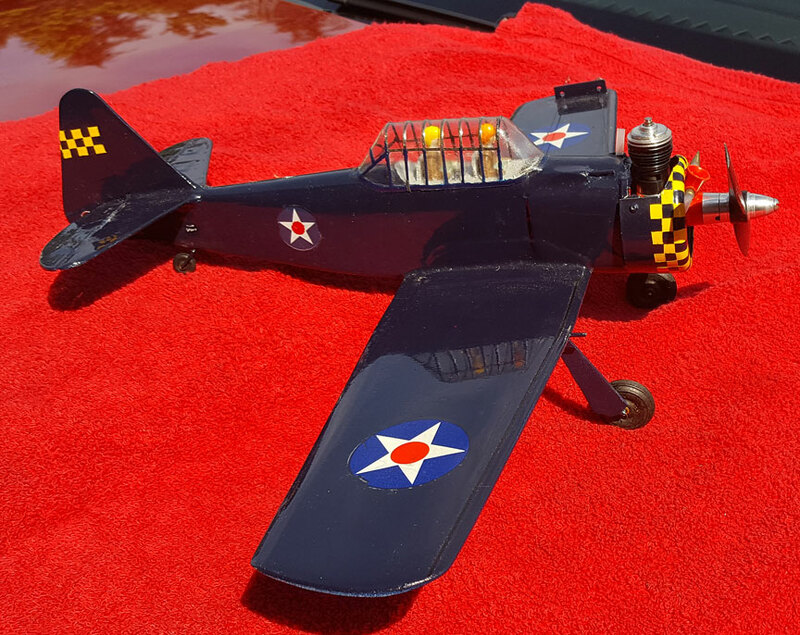 The P-26 kit is for sale at my cost; I don’t have time for it on my bucket list. I got it just to have owned this prized icon from the 1950s for a little while. Who will buy and maybe fly this great kit? 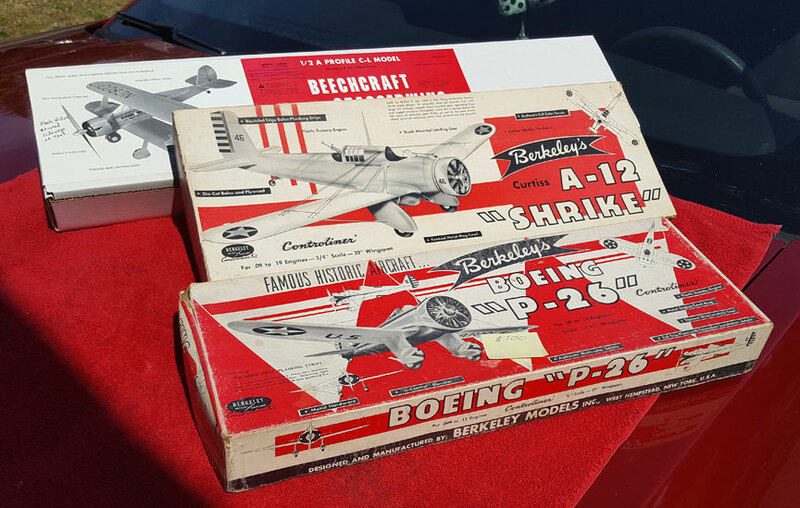 I bought a Berkeley kit of the Curtiss A-12 Shrike, a 1930 ground attack monoplane, which I will build after I finish my old P-3 project (follows my F-84). At a swap meet not long ago someone got me to buy a NIB McCoy Bluehead .29 (throttle) that I will put on it. I will use this period engine to be in keeping with the time of the kit and so I will use kit decals, even if I have to have them made new. The P-26 and the A-12. Orin Humphries photo. Yes, the old kits need updating as you build them. 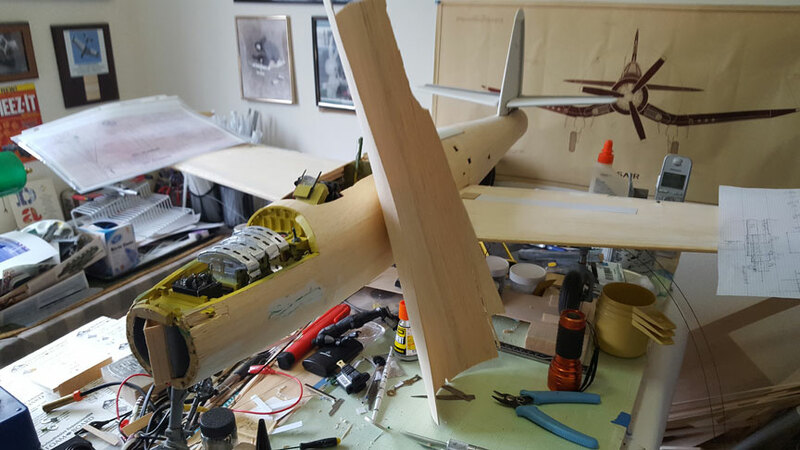 The firewalls need good aircraft plywood substitutions, some of the wood is very heavy and should be used as patterns to make lighter parts. You will want to install three-line bellcranks. More vintage kits. Orin Humphries photos. The Berkeley kits use cove stringers of 1/8” thick balsa for fuselage covering; they nestle into each other, having curved edges. This is a bit heavier than 1/16” thick sheet, and the coved stringers leave a lot of glue edges to be sanded. On my A-12, instead of the coved stringers, I will set in 1/8” sq. stringers, just halfway into the formers. That will take up 1/16” of air space, and the 1/16” sheet skin will make up for the final thickness. I will wet the skinning sheets with water and then wrap them onto the fuselage with an Ace bandage. This will make formed sheet fuselage skins. That approach is sooo easy, don’t let not having done that before deter you; Nike says, “Just Do it.” Me too! I did this for my F-84 (to fly at the Regionals next year) for my first time ever, and will never be without it again. Falling off a log guys, this skin forming is. I bought my skin stock from Balsa USA. I paid more to have blemish free, hand-select sheets. The F-84 with skin. Orin Humphries photo. I want to say, in conclusion, that my return to competition after 25 years off was very rewarding. (Look in the dictionary for my picture; it is under “RUSTY”). We had 12 Scale entries by five pilots, double what was there two years ago on my last visit. Walter Hicks ably and efficiently directed the Scale events. These pilots are MASTERS. I saw a Hellcat and a Mustang do the best takeoff and landing routines I have personally witnessed. They taxied for a while like they were heading for the end of the runway. Then they raised the power and rolled on the three-point for an appropriate length. The tails came up and they rolled on the mains. Liftoff came around the end of the first lap. The landing rollouts were similarly appropriate. I tell you, these pilots put the icing on the cake! The cost of the trip for me was made worth it alone just watching these men, John Wright and Bob Lewis. How can all of us possibly EVER thank John Thompson and Mike Hazel for 47 years of the Regionals and for Flying Lines? And “Thanks” to all of the event directors, sponsors and helpers through the decades.